Travel Vaccine Clinic Website Design - Illusive Design Inc. The Travel Vaccine Clinic offers travel health and vaccination services in Toronto. Illusive Design helped enhance their digital branding. 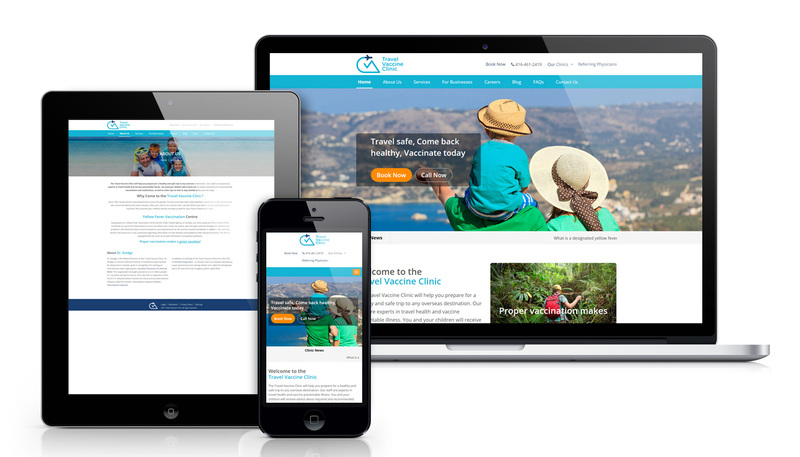 We designed their new logo and custom designed a new mobile friendly website for this renowned clinic.